Dubai: The UAE beat Kuwait 1-0 in Manama on Tuesday to book themselves into the 21st Gulf Cup final with Iraq who beat tournament hosts Bahrain 4-2 on penalties in the other semi-final. Ahmad Khalil struck two minutes from time to hand the UAE victory over Kuwait, while Iraq keeper saved and then scored to win the shootout after a 1-1 draw in normal time. The UAE dominated the first half and should have put themselves in front before the interval as Khalil hit the left post and Amer Abdul Rahman blasted the rebound over. That had followed another clear effort on 20 minutes from Abdel Aziz Hussain, who found himself played into space in front of goal only to scuff his effort wide under pressure from a defender. 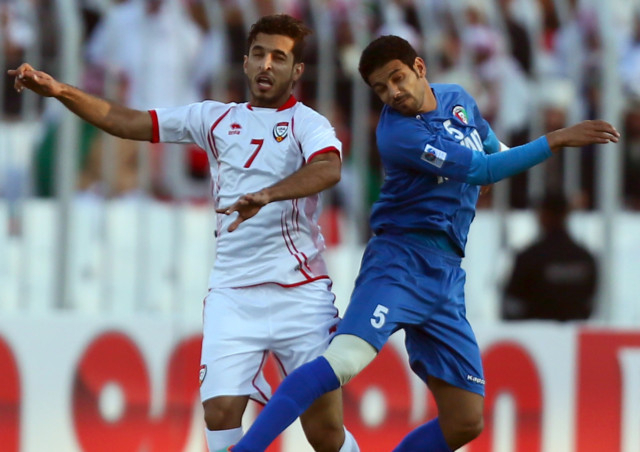 Kuwaiti keeper Nawaf Al Khaldi was then challenged twice on the half-hour. First he was forced to parry Omar Abdul Rahman’s long shot out for a corner and then, from the resulting cross, he palmed the ball straight at Mohannad Salem in the six-yard box, prompting a goalmouth scramble to clear. 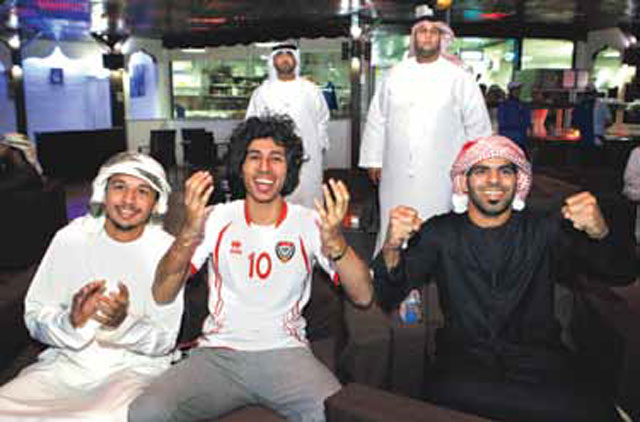 Kuwait’s reply was tempered by the UAE’s will to get forward. Yousuf Al Sulaiman’s header from a free-kick was put wide before the break, in one of their only clear opportunities to advance. 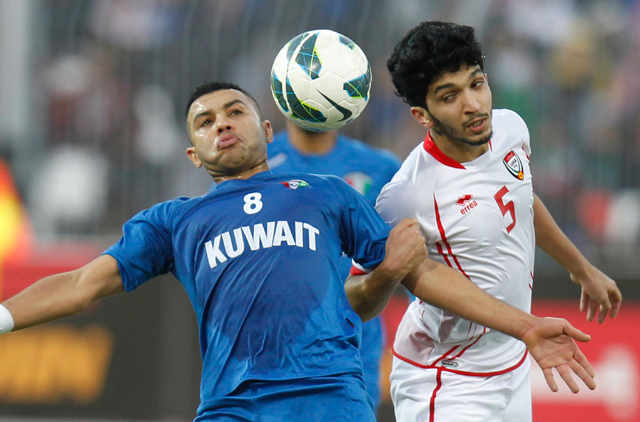 The UAE started the second half as they ended the first, again denied by the woodwork. This time Khamis Esmail’s free-kick hit the crossbar on the hour and deflected off the keeper’s head back on to the bar, but somehow didn’t cross the line. Then it was Kuwait’s turn to hit the post as the clock approached 70 minutes, when a long shot was fumbled by UAE keeper Ali Khaseef and Fahad Al Ebrahim struck the follow-up on to the woodwork before it was cleared off the line. 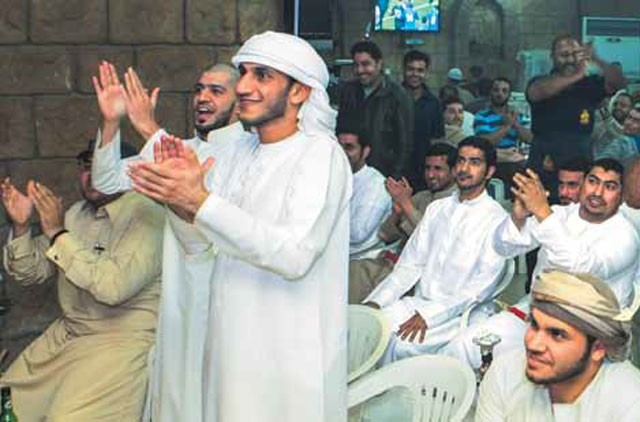 But, with the game in deadlock and headed to extra time, Khalil got onto the end of an Abdul Aziz Sanqour left-wing cross to tap past his marker and the keeper amid jubilation for the UAE’s travelling support. In the other semi final, Younus Mahmoud ran onto a midfield chip, beating his marker Abdullah Marzouq to slot bottom left on 17 minutes. Bahrain then equalised on the hour from a Husain Ali freekick into the top left hand corner. 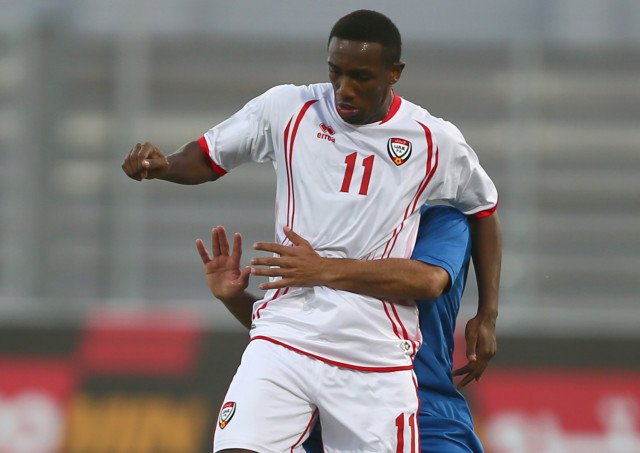 Abdullah Yousuf struck over from a right cross for Bahrain in the first half of extra-time, but with a stalemate after 120 minutes the game went to penalties. With the shootout tied at 2-2, Iraq keeper Noor Sabri Abbas turned hero first saving Abdul Wahab Al Malood’s spotkick and then scoring from the spot to win 4-2.